We are so glad you are here! The elves at The Project Bin have been very busy. 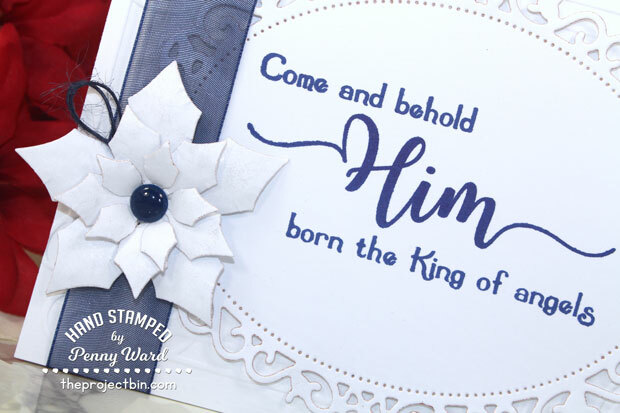 For the next 2 days, July 15 and 16, the design team will be showcasing the stamps and dies from the store and bringing you a hand-crafted Christmas! You’ll see Christmas cards, holiday projects and ideas to inspire creativity to jump start your holiday planning. 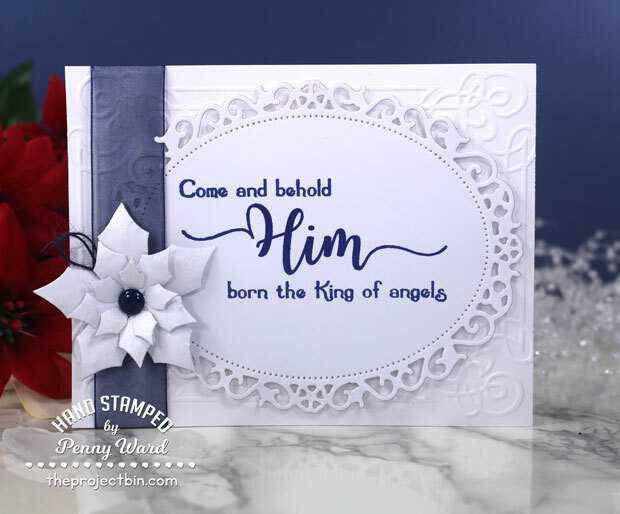 Our sleigh ride will take you to each designer’s blog where you can peek at what they have showcased using The Project Bin’s stamps and dies. If you arrived from The Project Bin blog, you are in the right place! Since the holidays are known for gift giving, two lucky winners will receive one of the two generous The Project Bin gift certificate giveaways to use in the store! The Project Bin offers clear stamps and metal dies with truly something for everyone. The hop begins at The Project Bin’s inspiration blog and has the full line up. Next up, Lori Turner's fantastic blog to see what she has to inspire you. Make sure to leave a comment for each of the stops on the hop ~ you won’t want to miss it! 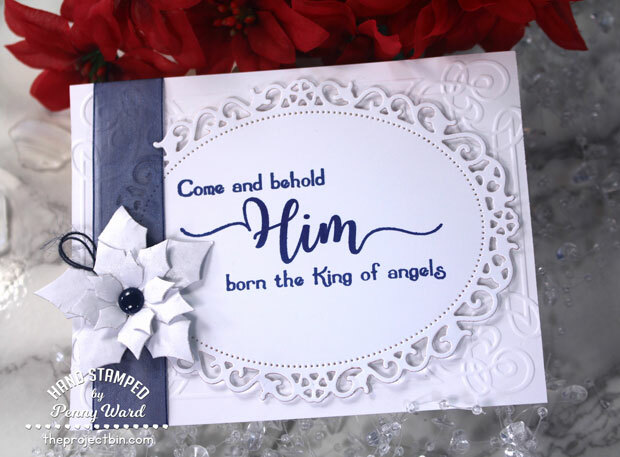 Be sure to come back to The Project Bin blog tomorrow to see more holiday inspiration! A really classy card, Penny. Nice! Just gorgeous! 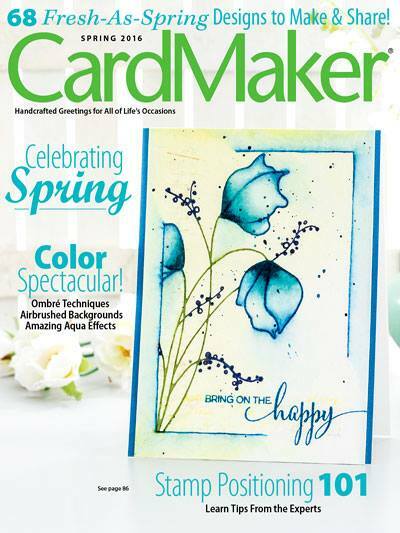 I love the sentiment in blue and the flower in white- beautiful die as well!